Tony Suberlak is partner with Masuch Law LLP. The firm recently launched a rebrand. It was previously Masuch Albert LLP, founded in 1975 by Gerald Masuch and Gerald Albert. It also moved into new office space in Calgary and added two new partners in its Sherwood Park office. Tony Suberlak, a partner with Masuch Law LLP. 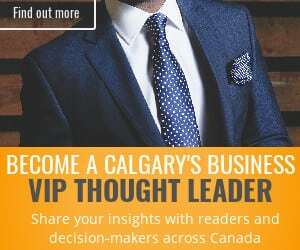 Calgary’s Business: Tell me about the company’s rebrand with a new name and logo and a new location in Calgary. Why has this taken place? Suberlak: We recently took on a small expansion by about 3,500 square feet into a brand new location at Blackfoot Point Business Park. This development suits our business much better and has substantially better access and parking than our old office in Douglasglen. We used this move as the perfect opportunity to improve our office configuration and efficiency and to freshen up our brand. We streamlined our name and look, notwithstanding both original founding partners – Gerald Masuch and Gerald Albert – remain hard working with us and are critical pieces to successfully transition the firm and our clients into the next generation of our business. It has taken a lot of hard work with input from all sectors of our organization to achieve the move and rebrand and we are grateful to have such dedicated partners, associates and staff helping to achieve so much in such a short time. Our new office was designed with a client-centric reception area and meeting rooms, plus we managed to add some really nice features to enhance the staff experience throughout the office. Technology has also changed quite a bit even over the last 12 years since our last office move, so we used that as an opportunity to address other features that might have been dated. We felt strongly about maintaining a classic, innovative and detail-oriented brand and this is reflected in the design of the space. I am confident this space really fits the personality of our firm and our approachable and familial culture. CB: You’ve also expanded your presence in the Edmonton area? 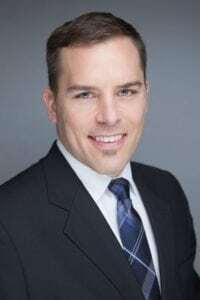 Suberlak: We have had our Edmonton office for a over 10 years now and have eased into expanding that office over that period while we recruited great people and partners in David Sheckter and Andrew Geisterfer. We recently added two new partners and a Sherwood Park office that also serves the Northwest Territories and Nunavut by virtue of their unique practice areas serving aboriginal claims, which has included the residential schools, ’60s Scoop and now the Indian hospitals class action matters. This has also broadened the scope of our services to take on a variety of class action matters as Steven Cooper and Alan Regel hold a wealth of knowledge and experience in managing disputes of that grandeur and significance. Having a north presence means we are now able to offer our full range of services including real estate, corporate and matrimonial law with two of our other lawyers recently being called to practice in the Northwest Territories. CB: What areas of law do you specialize in and how has that evolved over time? Suberlak: I personally practice in business and real estate law, which is quite a broad description as it deals with both commercial and residential and a range of businesses, often overlapping into other practice areas (allowing for collaborative work alongside more specialized lawyers in those areas). Our founding partners Gerald Masuch and Gerald Albert built our firm on a core of real estate work with a number of builders developing single and multi-family homes – many of whom are very successful and are well-known across our province and in other jurisdictions. In addition to residential and commercial real estate, we also serve a number of business clients in their day-to-day and corporate needs for all types of owner-operated businesses. This includes a range of businesses from private lenders or medical professionals to franchised restaurants and other construction-related businesses, and everything from basic employment contracts to major business sales and purchases. As a professional adviser, it is quite exciting when we get the opportunity to see a client grow from a startup business or even buying their first home. We truly value the relationships we develop with all clients and are honoured when we become their advisers for life. We have also become a reliable service provider to a number of bank clients in conjunction with collection and foreclosure work. Over time with the addition of new lawyers, our practice areas has expanded to include builders lien, wills and estates and now matrimonial law, which includes more than just contentious divorces, but some of the more proactive ‘relationship’ documents like cohabitation agreements or pre/post nuptial agreements, but overall we have become an “every person’s” law firm providing the full slate of legal services most people will need or want in their lifetime. We take a lot of pride in developing new relationships with clients but it is even more satisfying when we develop the role of trusted advisers as a firm to our clients and can help them and their families on all aspects of their legal needs. CB: Does the firm have future expansion plans? Suberlak: Our firm remains on a consistent path of growth whether with the addition of lawyers or innovative practices and technology, we are always looking to better ourselves and for great new additions to the team – over time, we may expand our Edmonton and Sherwood Park locations. The last couple of years have been an especially exciting evolution for us with the addition of new partners, planning for succession and assembling a great group of professionals. 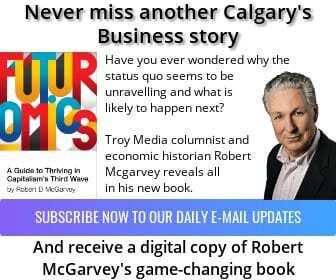 CB: How has the firm’s business been in the trying economic times Alberta experienced in recent years? Suberlak: Like everyone in Alberta, we too are susceptible to the extreme ebbs and flows of real estate or oil and gas markets in Calgary and Edmonton. 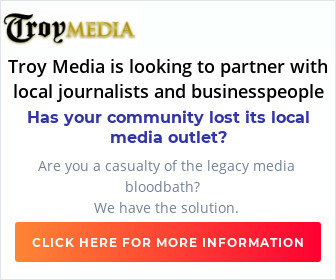 However, with our diverse practice areas that often require assisting clients in times of conflict or financial strife, we have become somewhat recession proofed by offering our diverse range of services. We certainly prefer being ‘deal makers’ over being ‘deal breakers’, but as lawyers we also play a pivotal role in providing sound advice to our clients in the toughest of times. Over the course of the last 10 years we have seen a few of those tougher periods, which has served to teach us how to be resourceful in our practices and how we run our own business, but also to ensure we are always be working to foster new relationships as you never know when you might meet your next client and under what circumstances.